Once in Japan and eager to start your business, you need to start to set up a bank account for yourself and for the company. Typically, as a visitor, you would never even have the need for a bank since visitor visas are only for 90 days maximum. With that said, being a visitor probably meant you brought all the money you needed to go to Japan. Here as a permanent resident, you need to know banking and postal options. For many foreigners with little experience in Japan going to a bank may be daunting since they might not have the Hanko (Japanese seal) and might not be fluent in the language. Fortunately, there are banks with English friendly options both inside the bank and online. Most banks require you to stay in Japan for at least around 6 months to open a bank account, but there are many exceptions to this rule. For example, if you are employed by a Japanese company and your company vouches for you, you can get an account earlier than the given period. Japanese banks are usually only open from 9 AM to 3 PM and closed during all weekends and holidays. ATMs are usually opened until 6 PM. Unlike in many other countries, if you as a foreigner want to open a bank account, an ID card, a passport and a couple letters of proof of address is not enough in Japan. Also, when setting up a bank account, be prepared to be asked if you have had a criminal record. After you have brought all the items, it is time to start to fill out the paperwork. You will be asked what kind of account you would like to open. The common options are a regular cash account (to be able to receive money to your card and withdraw them) or a saving one (to gain interests). You will be asked what the deposit limit and your initial deposit amount. The initial deposit amount usually is not too high (usually only a few thousand yen at most). You will receive a cash card or another type of card corresponding to your account type. Remember, cash cards are not debit cards. They are only good as a wallet for storing money without gaining interests. Most institutions will not take cash cards. It is common to withdraw money from a cash card first, and then use the money elsewhere. Japan is a cash-oriented country and electronic transactions are still not as common as one might expect even though they are becoming more and more popular. Many banks now also offer some kind of remittance function, allowing a foreign worker to send money to their home countries. your name in Japanese Katakana script. Asking a bank employee for help, using online spellers, or learning your name in Japanese by heart can help you with the process. your Hanko, if you have one. Usually, it is not a problem if a foreigner will use the signature instead of a hanko. During this process, you will receive a cash card and will be able to customize it. For example, add a SUICA travel card feature. Here we will introduce several banks that may be a better choice for foreigners because they provide services in English. One particularly foreigner-friendly bank is Shinsei Bank. In this bank, you do not even have to show up at the bank at all to open an account since it can be done online. You will receive a PIN (4 digits), a cash card, and a security code card. 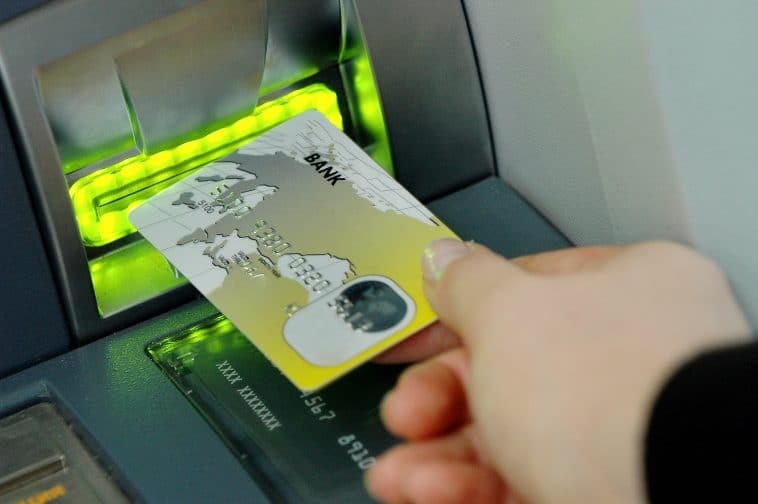 Although a cash card cannot be used to withdraw money from any ATM’s, Shinsei bank has a network of partnering bans in which you are able to withdraw money. Some of the common places include Seven Banks ATMs, ENet ATMs, JR East Japan Railway ATMs, and much more. As of now, there is no longer a charge involved with these ATMs. Another online banking option is Seven Bank, which is associated with 7-Eleven store chain. They have an informative website in English, describing all the procedures, stating all the precautions and explaining the identity verifications documents that you will need to present when opening an account with them. This bank has ATMs in 7-Eleven stores which can be easily found all over Japan. Other ATMs locations include shopping centers and airports, where ATMs have multilingual interfaces. Japan Post is, of course, a postal service, but they also offer bank services. Japan Post Bank is a good option since you can find postal offices everywhere in Japan, the bank has no withdraw limit, no international fees, and you will receive a passbook and a cash card. There are many other options available. You can always visit some of the major banks, such as Mitsubishi UFJ, Mizuho, Sumitomo-Mitsui, etc., but tehy are predominantly Japanese-speaking and opening an account there may take longer, you may have to go through more bureaucratic procedures or will need to handle your bank issues in Japanese. Still, even if you decide to get your banking done in one of the English-speaking banks, it is a good idea to have a Japanese-speaking friend to help you with the process to be on the safe side and clearly understand what needs to be done. It can be good to get some Japanese dictionaries to help you with the process. Even Google Translate can be a good resource when used correctly. The new app has a function that translates written text that on pictures or in front f the camera. If you stay in Japan for an extended period of time to do business, it is likely you will need to deal with postal services, too. There are many postal boxes around every city in Japan, or you can take your letters to a local post office and they will handle it. Japanese houses have small mailboxes. Thus, bigger objects will not fit them. When you receive a larger item, you will need to sign papers in order to receive the given item. Similar to other countries, if you missed the opportunity to receive the package, you are able to pick it up at the post office yourself. You may also call the distribution center to request a new time for delivery. The process of receiving packages is a bit longer. You will not be able to seal your package before heading into the office because of security reasons. Sending packages overseas is not a cheap service and can go anywhere from 5,000 yen to over 10,000. Opening a bank account in Japan used to be a quite challenging task for foreigners as it required Japanese-language skills and a long bureaucratic procedure. However, today there are several banks that make banking for foreigners easy by offering online banking and English-speaking services. In Japan, banking is tightly associated with postal services. While the Japan Post has a bank of its own, many other banks are associated with the Japan post and a lot of financial operations can be done a the post office. How long does it take to ship my cards after I set up my bank account. Between one and two weeks. Is it better to set a bank account online or in person? Setting a bank account online might be easier since you might get all the instructions in English and the procedure it is made to be easy. However, going in person with a native Japanese person might be better since you are able to ask questions and understand more about the services you receive. How long does it take for my items to get shipped? Shipments from Japan can take anywhere from a few days to a few weeks. For example, when shipping to America, it can easily take close as much as two weeks since there is a lot of customs involved. The shipment time also depends on your location in Japan: shipments from smaller towns and/or remote locations can take longer. What is not allowed to be sent to Japan? Beside such obviously illegal things as drugs and guns, it is quite often prohibited to import medicine that might be obtained with a prescription in other countries (e.g., antidepressants, migraine painkillers, etc.) because it can be illegal in Japan. Thus, make sure you are importing allowed substances in allowed amounts not to get into trouble by accident. If you are not sure about what you are allowed to take, contact the immigration service to find out more about the regulation or to obtain the contacts of other institutions that can comment on your questions. Make sure to find out in advance how you can get the medicine of a similar nature in Japan in case you cannot take your current medications with you. Can I send parcels from home? Yes, Japan Post offers such services. You can book a pick-up service, and an employee of a local post office will drop by your place to check your package and take it to the post office to forward to the assigned address.